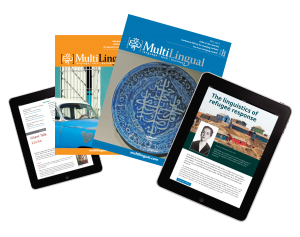 MultiLingual is the magazine for the language industry and businesses with global communication needs. 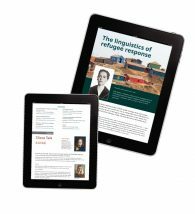 Published six times a year, MultiLingual is read by more than 40,000 people in 93 countries. All subscribers have full access to our digital archive going back through 2006. By subscribing to the print version, you will receive the digital version at no extra charge! The digital version is delivered in an interactive format that allows you to search, share & read it online or offline.